The island of Newfoundland sits off the east coast of Canada. It is part of the easternmost province of the country — so far east, it has its own time zone, a half an hour later than anywhere else in North America. And back in the 1920s, Newfoundland’s grassy fields were the jumping off points for transatlantic daredevil pilots. 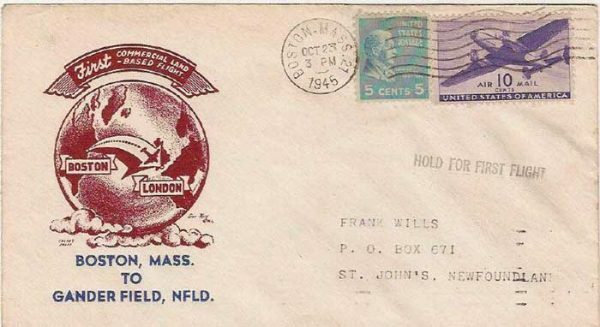 Amelia Earhart, Alcock and Brown and Charles Lindbergh all made trips across the Atlantic that started in Newfoundland. If you were going to attempt to fly across the Atlantic, it made sense to start as far east as possible. 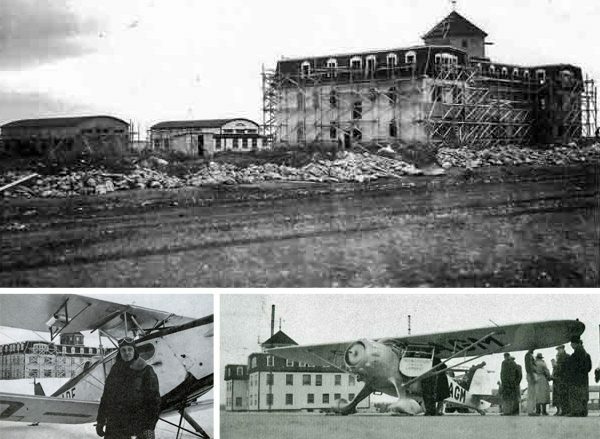 Eventually, the British (who then controlled Newfoundland) decided there might be something to this whole “air travel” thing, and began building what was then one of the world’s largest airports. 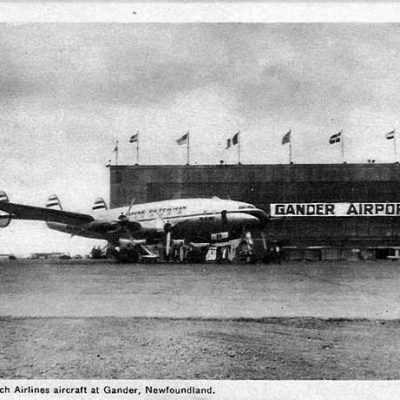 The town that would eventually grow up around the airport would come to be known as Gander (and its evolution is well-documented by the GAHS). 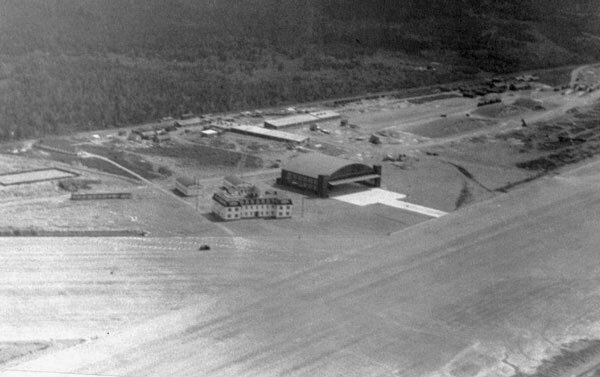 By 1938, the Gander airport was fully operational but mostly unused. There just weren’t enough planes in operation that could actually survive the crossing of the Atlantic Ocean. In the two decades before World War II, only 100 planes had crossed the Atlantic — 50 others had tried and failed and 40 people had died in various attempts. 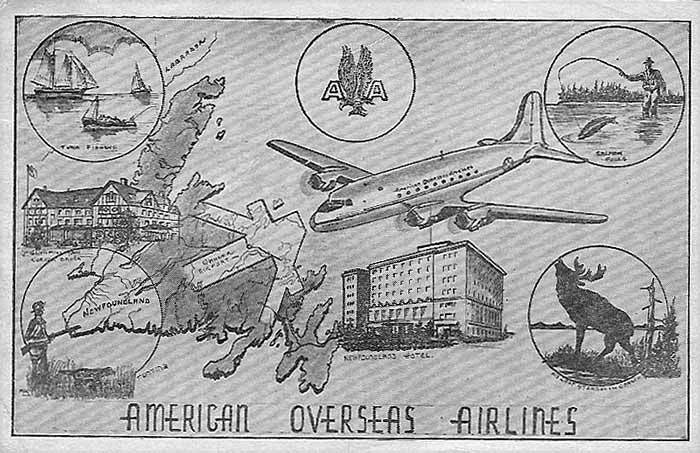 In 1939, when World War II began in Europe, and Britain need support, the American and Canadian governments began shipping planes to Europe by boat. But many were lost to German submarines and other naval actions. To counter this problem, the British came up with the idea of putting a bladder inside the planes which would serve as a spare fuel tank, now giving the pilots enough fuel to make it across the Atlantic. 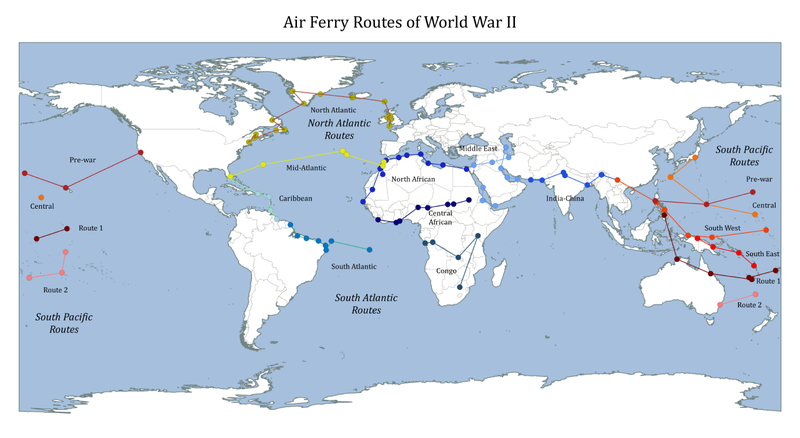 The first crossing involved seven planes and took place on a freezing night in November of 1940. 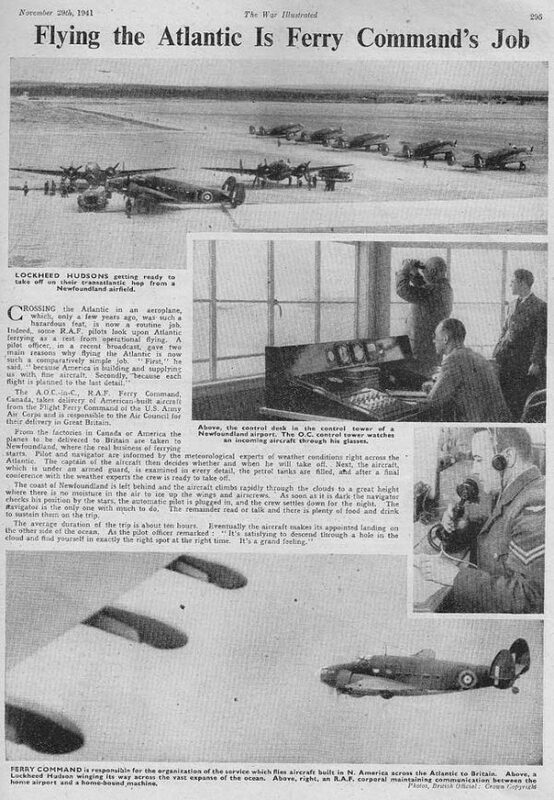 The pilots had to fly in the dark because lights could alert the Germans. Miraculously, all seven made it. 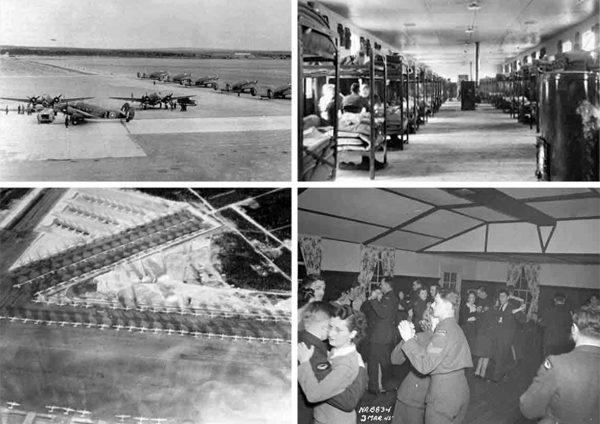 Over the course of the war, around 20,000 planes were brought to Gander to be flown across the Atlantic. 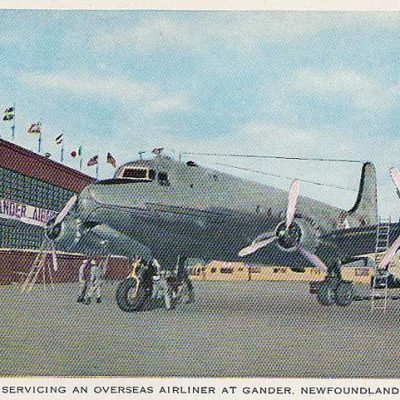 After the war, civilian air travel began to take off and many flights coming from across the Atlantic still needed to stop in Gander as a refueling point before going on to cities like New York. 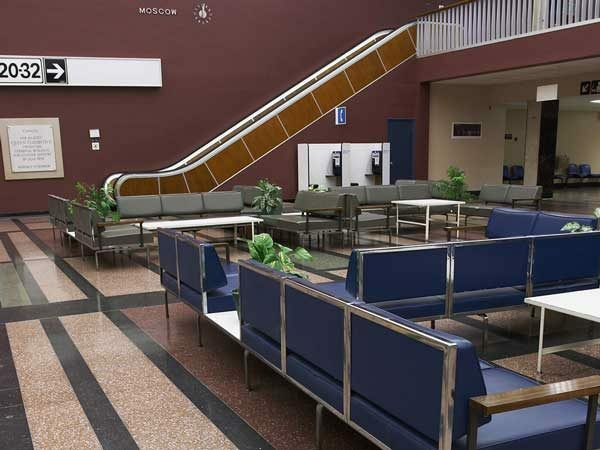 Celebrities and heads of state often spent long layovers in Gander, so the Canadian government decided to build a lounge that would impress them. 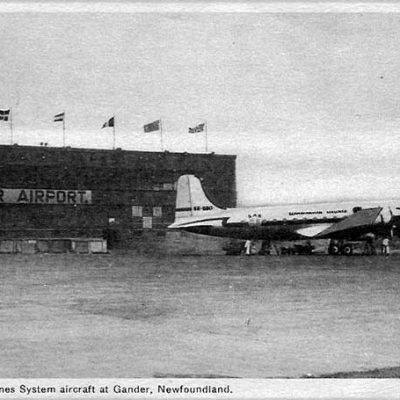 When the international lounge of the Gander airport opened in 1959, the Queen of England herself came for the opening. The international lounge, which has barely changed since it was first built, is a big, airy space with high ceilings. As you walk in, you’re awash in the orangey glow of the 1950s. The vinyl chairs and couches are arranged in U-shaped seating areas. 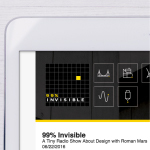 They were designed by famous mid-century designers Charles and Ray Eames and Robin Bush. Even the bathrooms are their own amazing time capsule — the women’s restroom especially. There’s a row of swivel chairs in front of a counter and wall-sized mirror. 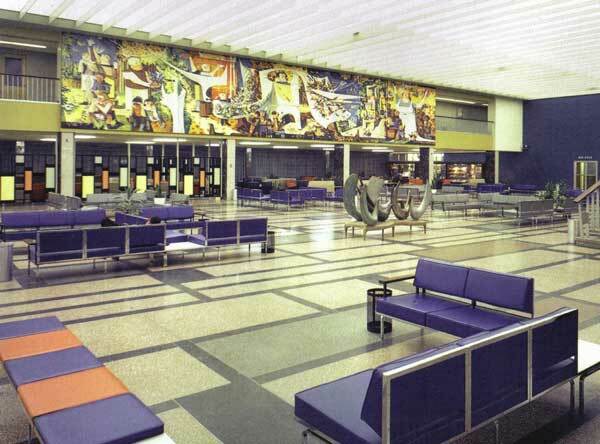 This lounge was the setting for the glory days of Gander, when anyone who was anyone seemed to stop through airport. 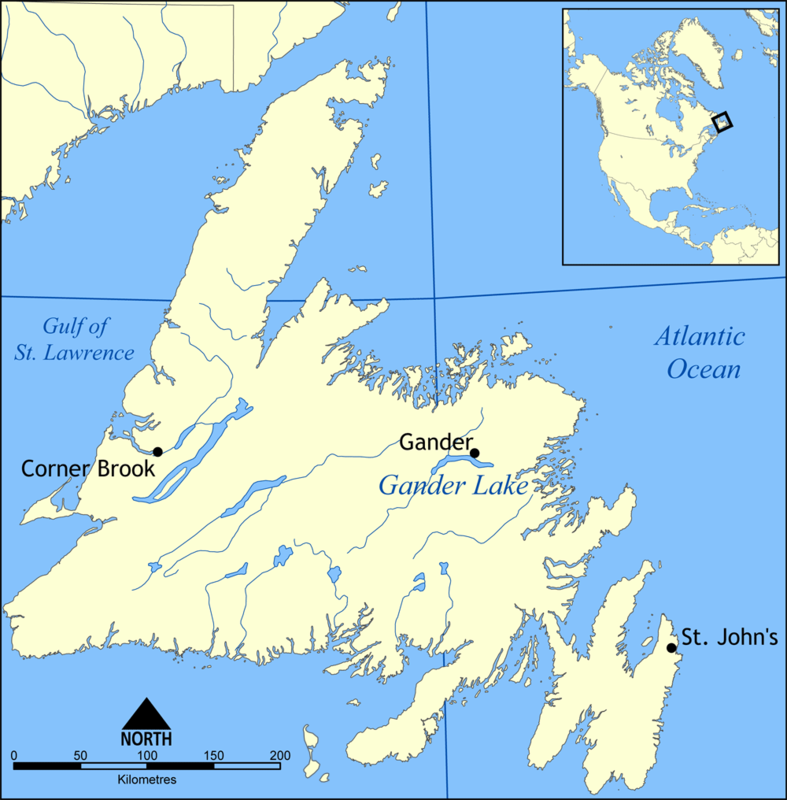 The Beatles’ first steps on the North American continent weren’t in New York — they were in Gander, Newfoundland. Bob Hope, Prince Philip, Marilyn Monroe and others all stopped by, and locals love to tell the story about Frank Sinatra trying to cut in line at the airport bar, and getting told to go to the back. 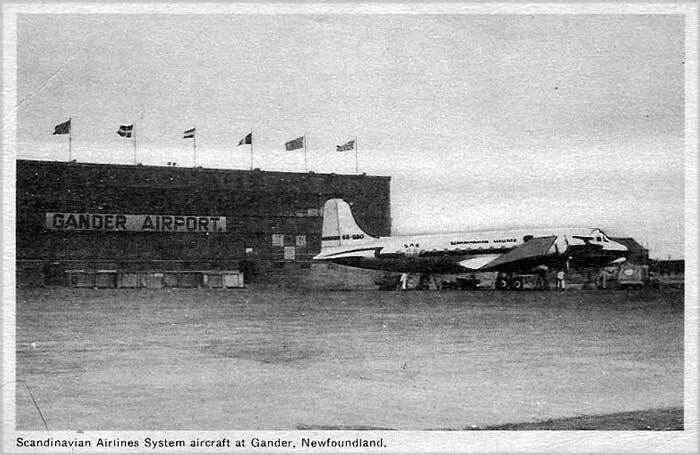 By the late 1960s, most commercial jets could make it across the Atlantic without needing to refuel, so stops in Gander declined. 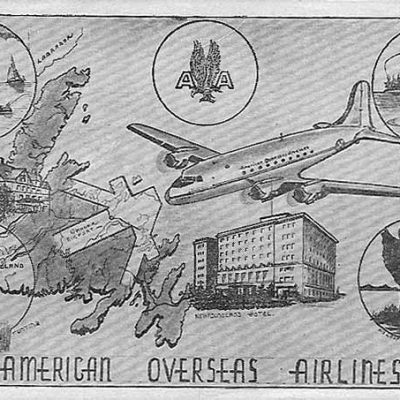 But the airport remained important, especially to communist countries that couldn’t fly to the U.S. or use its airspace. 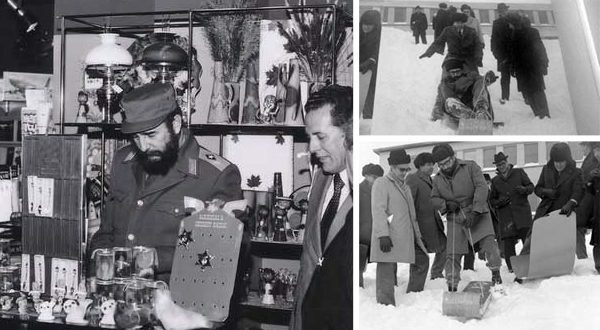 Gander was the major stopping point between Moscow and Havana. It was also a place that attracted defectors, including a fair number from Cuba. 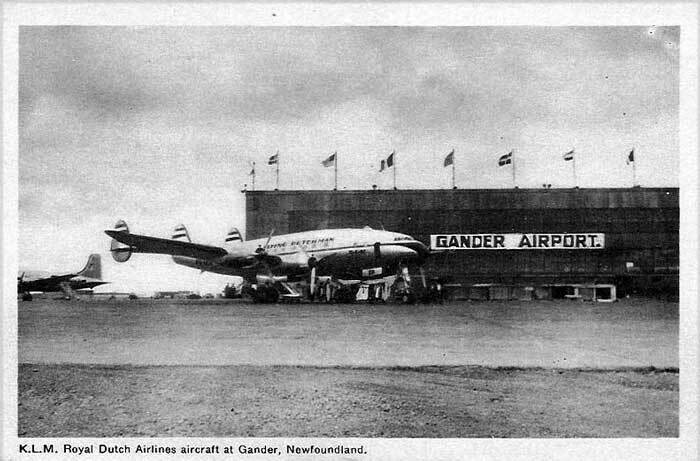 For residents of Gander, life was also about living alongside people from all over the world who worked for the airlines. 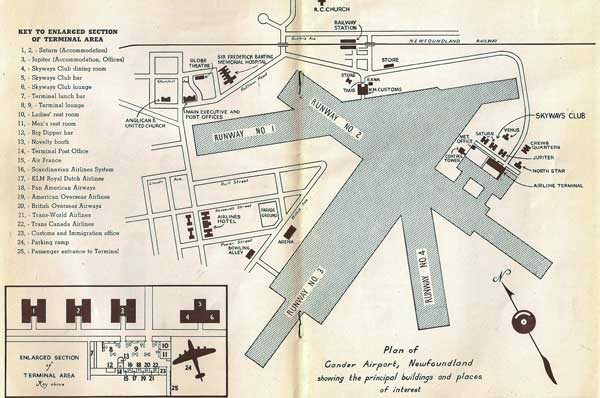 Aeroflot (the Russian airliner) alone had over 150 crew and flight planners in Gander. 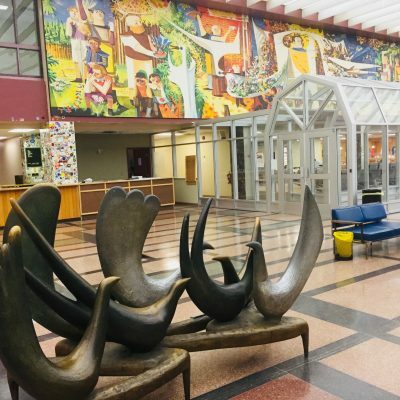 The airport turned Gander into an amazingly diverse place. Beyond that, it served as a kind of portal from the town to the rest of the world. There are stories about local people with the right connections hopping on last minute flights to Cuba and Europe and New York City, just by clearing it with the captain. And maybe it was all those trips to big cities like New York that prepared the people of Gander for September 11, 2001. On that day, an unprecedented decision was made to close all American air space following the attacks on the World Trade Center and the Pentagon. Hundreds of flights were diverted and forced to land at airports in Canada. As the planes came in one by one, the people of Gander gathered outside the airport to watch. 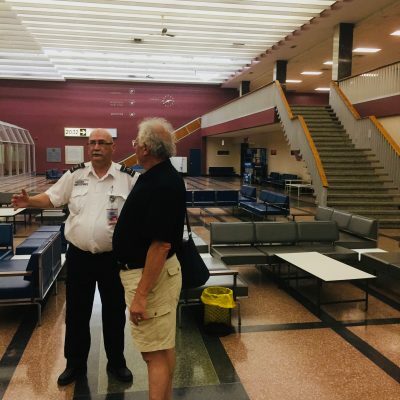 Thirty-eight planes and nearly 7000 passengers ended up landing in Gander. They called the stranded visitors the “Plane People” and they weren’t there for just a few hours — they were there for three days and they weren’t allowed to get their luggage, so they had nothing. 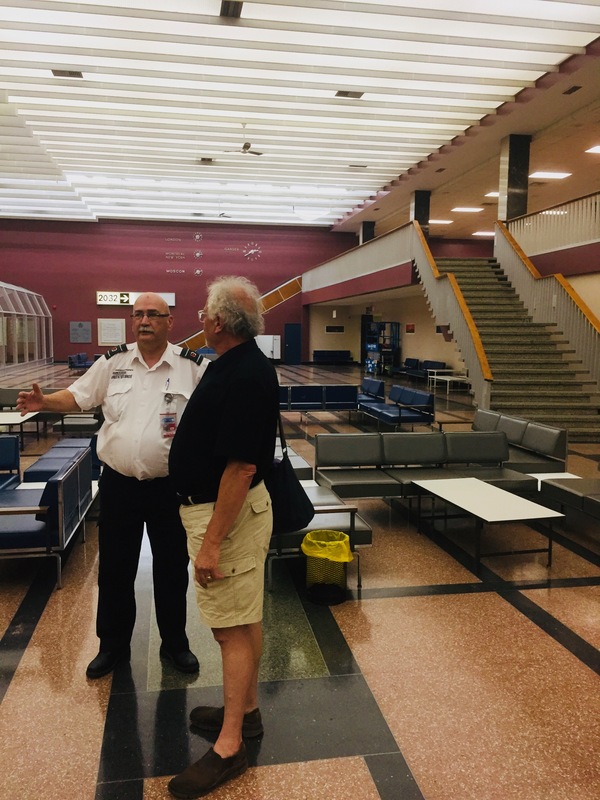 After each passenger registered with the Red Cross, a loose network of volunteers from Gander and nearby communities provided thousands of hot meals, toiletries, and prescriptions. Bus drivers, who were on strike, came back to work to drive them around town. It was a job Gander was built to do. 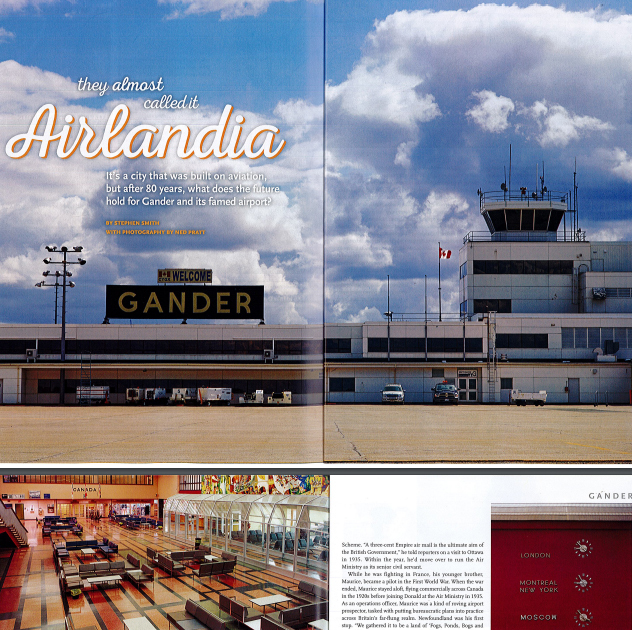 Gander had only 500 hotel rooms and 7,000 new guests, so residents stepped up and took people in. Some of the stranded passengers ended up forming strong bonds with their hosts. 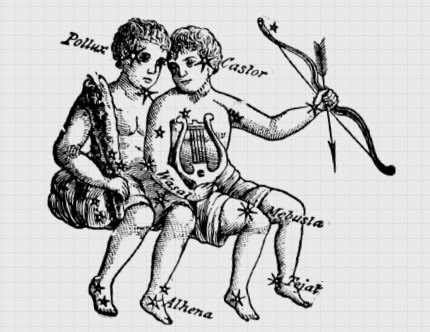 At least one marriage came out all of this, and many friendships. One group of “Plane People” who stayed at a high school started a scholarship program, now worth over a million dollars. 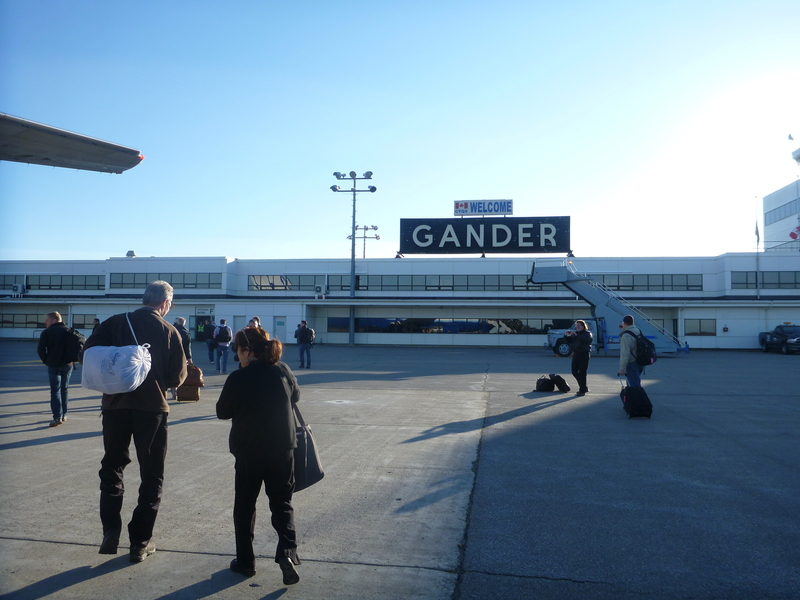 There’s even a Broadway musical about Gander and the “Plane People” titled Come From Away, which is a local term for “visitors.” It started out as a student project in a dramatic arts class in a Toronto suburb, and then it just grew and grew. It was a big hit in the local theater scene, and then it went to Broadway. 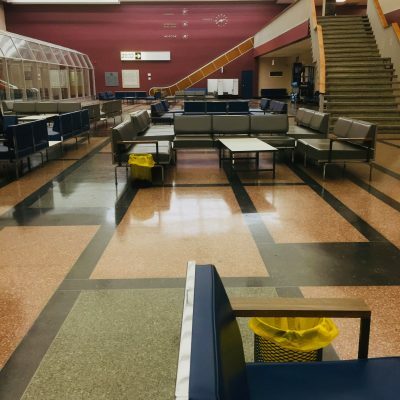 These days the Gander airport is pretty quiet. 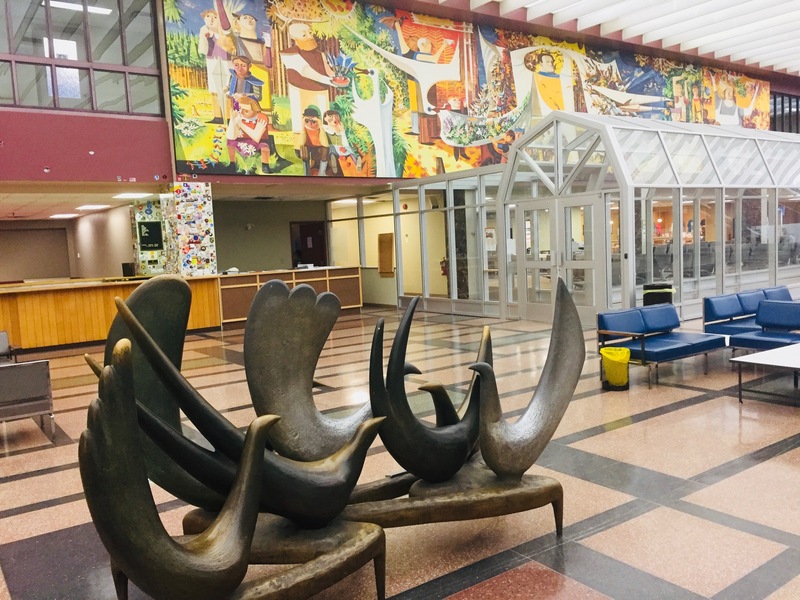 St. John’s, the capital of Newfoundland, has the island’s major international airport now, and aside from a few daily flights, Gander’s traffic mostly consists of military planes and emergency landings. 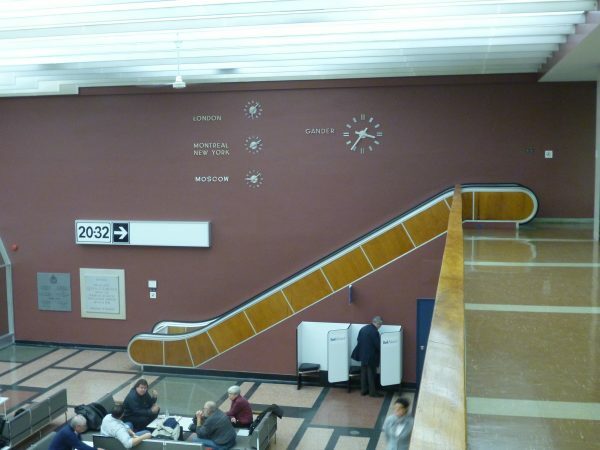 A few years ago, the Airport Authority proposed tearing down the international lounge and building something smaller (and much, much uglier). 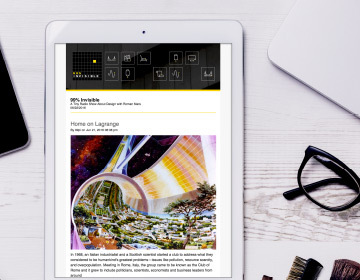 But there was a huge outcry from architecture enthusiasts around the world, including Luke Quinton, who reported this story. In the end, the mid-century time capsule that is the international lounge was saved. 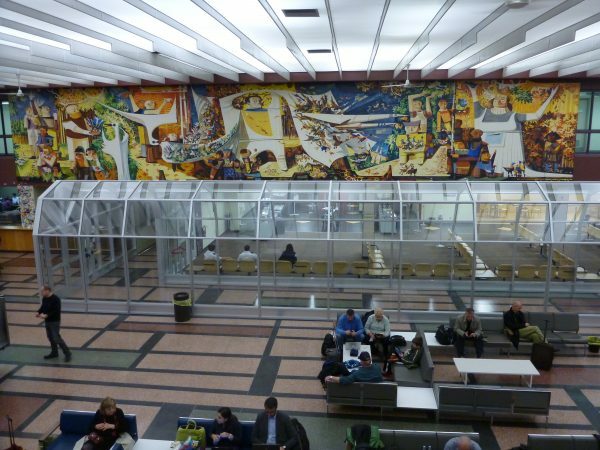 It stands as a monument to a bygone era, when flying was luxurious, when you didn’t have to take your shoes off to go through security (when, actually, there was no security as we know it). And the bar at the airport was open to anyone. If Sinatra cut in front of you in line, you’d just tell him to please wait his turn. Producer Luke Quinton spoke with Ian Blackmore, photographer at the Gander Beacon; Gerald Vokey was an editor on the same local paper; Jerry Cramm, commissionaire at the Gander airport; historian and former air dispatcher Dean Cull; Frank Tibbo, former air traffic controller at Gander and historian of the airport; John Baird, who grew up in Gander; former mayor of Gander, Claude Elliott; and Gary Volkey, Gerald Vokey’s son. 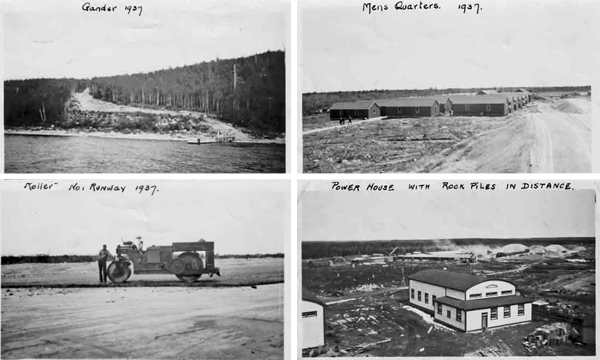 Special thanks to the Gander Airport Historical Society — you can read and see more about the town and airport’s history on their website. Coda on airport runway numbering with Kurt Kohlstedt. We still don’t have to take our shoes off at security in Canadian airports, so at least we still have that last vestige of the bygone era! 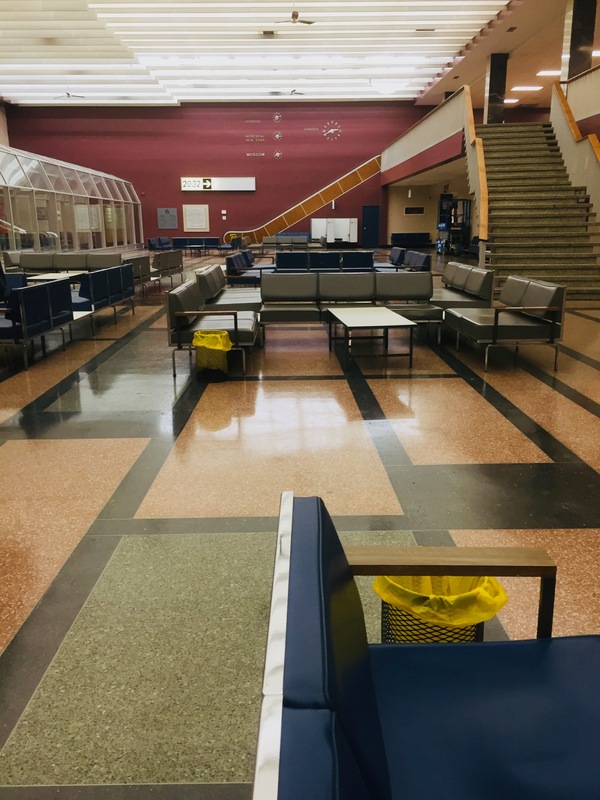 The Gander airport reminds me of the Narita Airport Rest House located next to Tokyo’s Narita airport. The hotel is in mint condition 1960’s. Everything from the carpet and furniture to the hotels restaurant the Rainbow Room. Pictures do not do it justice, just Google it and you’ll see. It felt like staying in the hotel from the Shining. Re: runway numbering. There’s actually a significant design issue in painting not only the runways but the taxiways as well. Sometimes runways are parallel, which works fine as Kurt described. But sometimes two runways may begin from approximately the same spot but their headings are maybe 20 or 30 degrees off from one another and they diverge. So as you’re taxiing along to the end of the runway(s), you may actually line up on the wrong one. Confusion about which runway you’re on can lead to catastrophe. Maybe another airplane is taxiing across the runway you’re taking off from because it thinks you’re actually taking off from the other one. Or, as happened tragically in 2006 in Lexington KY, maybe one runway is much shorter than the other, so an airplane trying to take off from the wrong runway simply doesn’t have enough pavement to accelerate and get airborne. Since the Lexington accident, designers have tried to a number of combos of paint, signage, lighting and cockpit procedural changes to get us pilots to make super-sure we’re lining up on the correct runway for takeoff, and I believe they have helped. Certain tricky intersections remain a challenge, but this is another example of good design making a positive impact on all of us. As a 99PI fan I loved everything about this story, thank you! As a pilot the bonus segment drove me a bit crazy. Every time I hear a mainstream news source that mentions runways, the same mistake is made. There is no, and there never has been, a runway “eighteen.” It is runway “one-eight.” Additionally, the L, R, or C is pronounced “Left, Right, and Center” respectively, rather than pronouncing the letter itself. A minor point, but on a show all about the small but important design decisions in the world, it is a small and important design decision. In aviation the individual numbers of any compass heading are pronounced individually. For example a compass heading of 270 is “two-seven-zero” not “two-seventy.” Especially in the early days of radio communications, and even today, reception is not always great, and pronouncing each number individually helps to avoid ambiguity that can lead to errors. This goes a step further as 3, 4, and 5 can be confused for each other if the reception is weak. Technically, 3 should be pronounced “tree,” and 5 should be pronounced “fife,” to avoid this confusion. Although this rule has largely been dropped due to better radio equipment these days, you will still hear 9 pronounced “niner” all over the world. All because some smart person in the 1930’s made a smart design decision. Sorry for any confusion: we were referring to the numbers not as they are spoken but as they are written (on signs and runways). 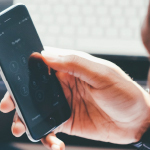 If you check out the related article (embedded at the end of this piece) we do spell out more clearly (no pun intended) how it works when numbers/letters are being read aloud in actual navigational situations. In the episode, the queen was referred to as the “Queen of England”. She’s Queen of Canada as well, and it’s a bit odd to refer to her as the “Queen of England” in the context of a visit to Canada. Quite. And “Queen of England” isn’t even one of her titles anyway. 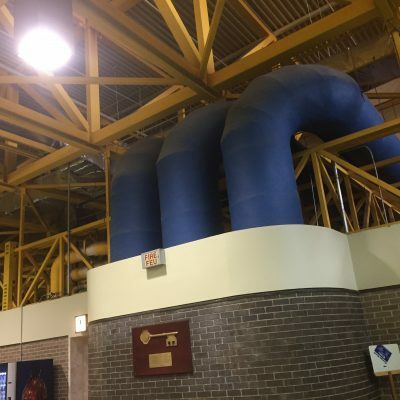 I’ve been to this airport in 1987 when my family was returning from my father’s service in Cuba back to the U.S.S.R. We were killing several hours in this hall https://cl.ly/3C0h1v1q2C3S waiting for airplane to refuel. I knew I was in Canada (because I still have somewhere a Maple leaf pin), but I didn’t know it was Newfoundland. Great story as always, thank you. In 1990 I was required to fly from the UK to Cuba for a work project, and ended up taking the once-a-week flight on Air Cubana on a Russian Ilyushin Il-62 from Paris Orly airport to Havana. We made a pit stop on the way which I later found out was Gander. I don’t remember going into that wonderful terminal but I suppose we must have. On the return trip we did not need to stop there, maybe it’s to do with the winds. An obvious mistake, but I’ll point it out anyway, since it hasn’t been corrected after a few days: time in Newfoundland is earlier than anywhere else in North America, not later. I noticed this, too… but “later” is correct in a sense. If it’s noon in the Eastern time zone, one PM in Atlantic, and 1:30 in Newfoundland, doesn’t that make it “later” there than anywhere else on the continent — even if the time of 1:30 occurred “earlier” there than anywhere else? OK, that’s a very good point. So I withdraw my criticism! Though I think the more conventional way to describe this would be to say that time in Newfoundland is “ahead” of anywhere else in North America. Great episode and nice pronunciation of Newfoundland! Nice to hear an American use the correct pronunciation when many Canadians still can’t get it right. 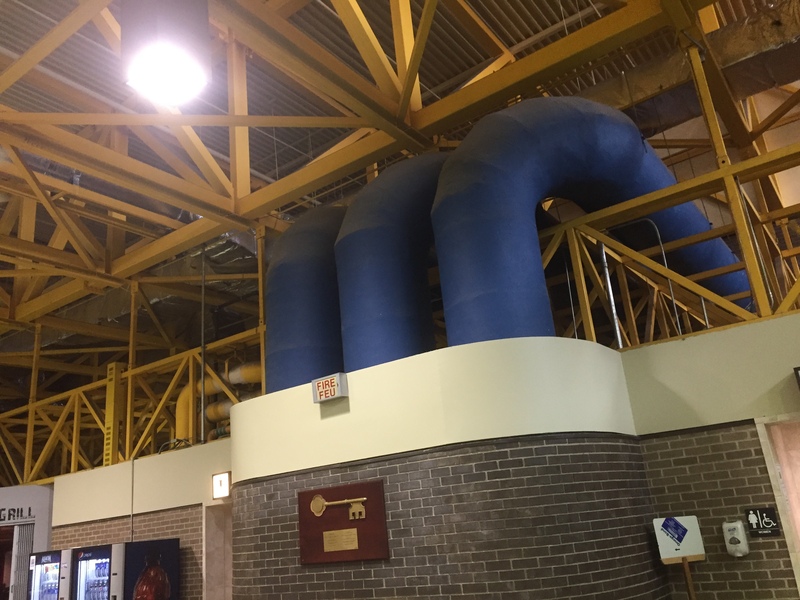 As someone who grew up in the area I never truly appreciated the uniqueness of the Gander airport until now! I’m in love with the midcentury furniture! It feels like something out of Mad Men or a Wes Anderson film. Great story ! 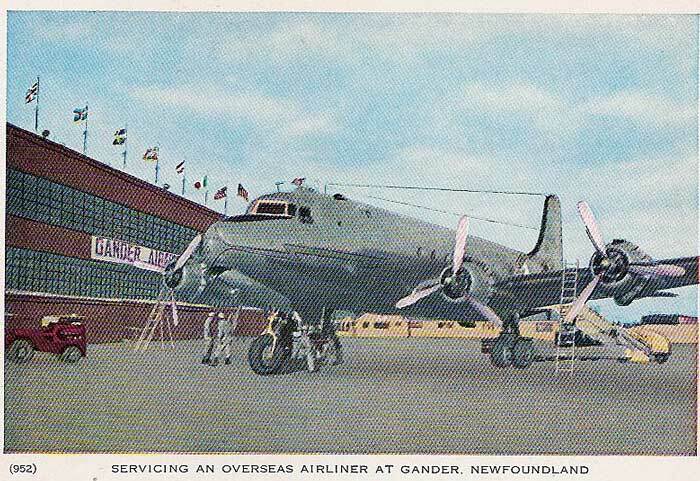 My daughter seems to think there was a song in the 70’s called ” Gander Airport” but we can’t seem to come up with anything….can anyone help. Is she thinking of the song “L.A. International Airport” by Susan Raye? The map showing the ferry routes is incorrect. The first and for a long time the most important went directly from Gander to the UK. Ironically it is not shown in a article about Gander.